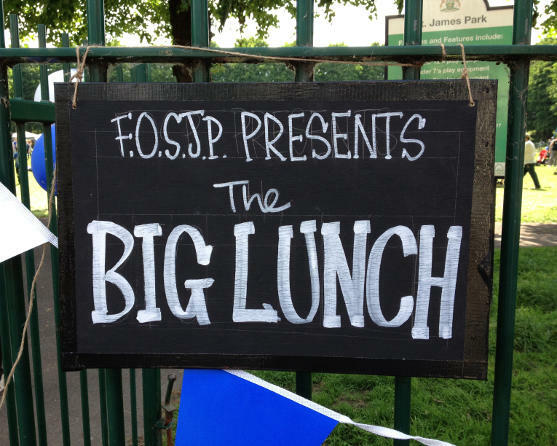 With the E17 Art trail now in full swing, one of the events to be held was the ‘Big Lunch’. 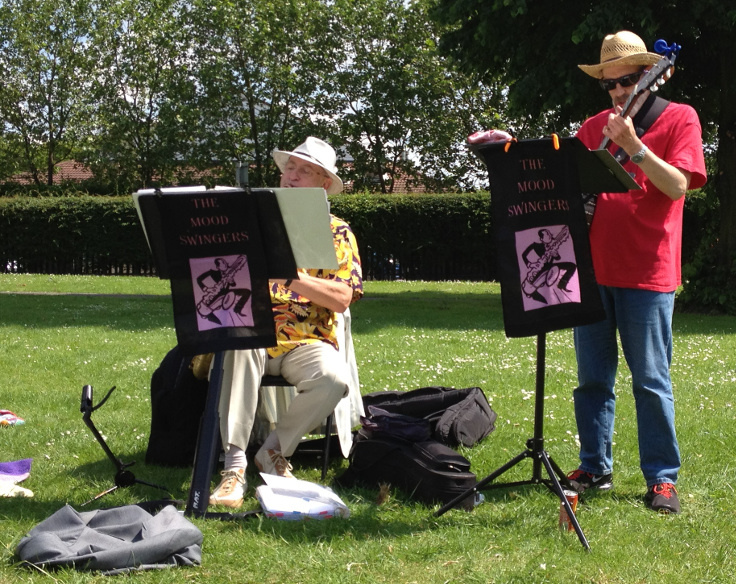 Organised by the Friends of St James Park Walthamstow. 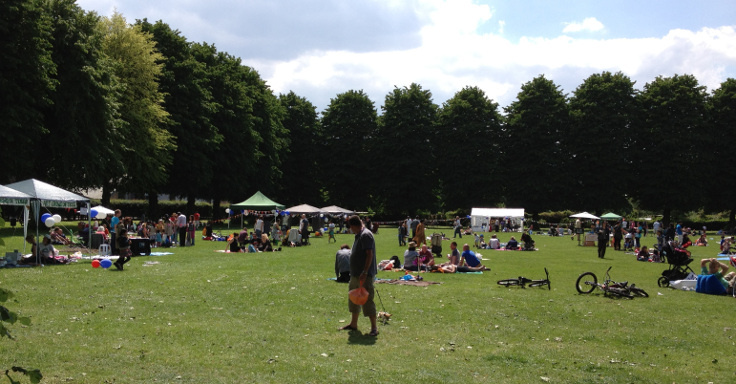 One of the aim’s was to bring together the local community to celebrate and enjoy Walthamstow. For those of you that were reading my constant tweets, you would be lead to believe that I in some way had something to do with the event. In fact I had nothing to do with it and all credit must go to the FOSJP for arranging such an awesome day out. The event is something close to my heart. Why you may ask? 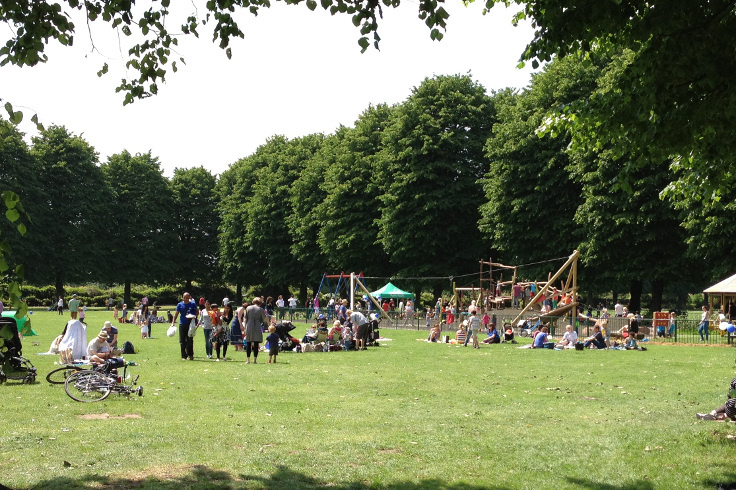 Well as for someone who has lived in Walthamstow all my life (all 3.5 decades of it), St James Street park has ALWAYS been my local park. I grew up playing on the swings and slide there with my siblings. As a youngster I wasn’t allowed out on my own so the slightly older neighbours would take me me on their BMX bikes. 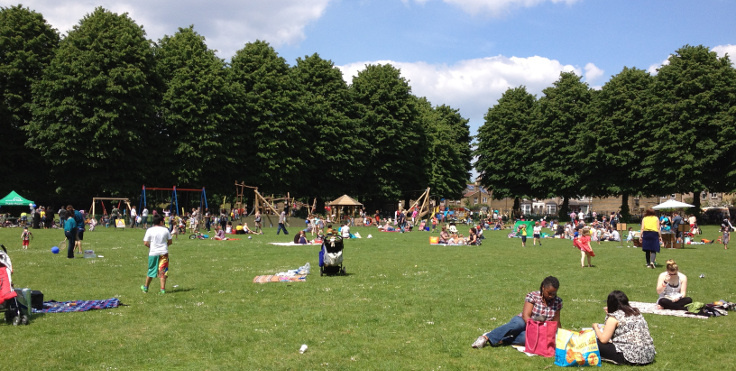 With some recent investment and regeneration, the park has evolved and been given a new lease of life. As we walked towards the entrance of the park and look right, we were greeted with a big bright red bus. 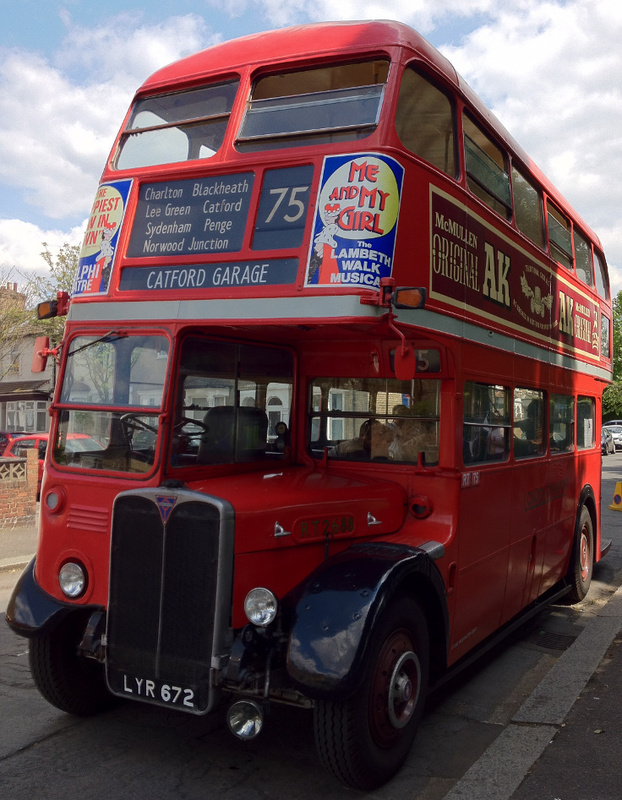 You can see deliberately that I am not going to mention exactly what type of bus this is….more on this later! There was also an ice-cream van there somewhere (which my children refused to let me forget). A lovely touch was the chalk board entrance. For someone who has been visiting the park since I was a toddler, it is a nice to see something different. Straight through the gates and I looked right…. Wow, people….and lots of them…..! I was thinking, “is this the right place”? Walking around there were lots of different stalls selling ‘brick a brac’, ‘arts and crafts’ in addition to local organisations. My eye spoted something I KNEW would get me brownie points with the wife…..a face painting stall….hurrah!!! As you can imagine, it was a Sunday, 22 degrees celsius and therefore absolutely ideal. We patiently waited for a few minutes but sadly I think the lovely ladies who were working so hard painting all those faces ran out of paint! Noooooooooooooooo! There go the brownie points. So on we went and as you look around, all you notice are a sea of happy families having a picnic on usually what is a football and cricket pitch for the local kids. Although a lot has changed in the last 20 years, it was amazing to see the local community out in full, it really does make you appreciate the diversity of Walthamstow and what a fantastic group of people we are. 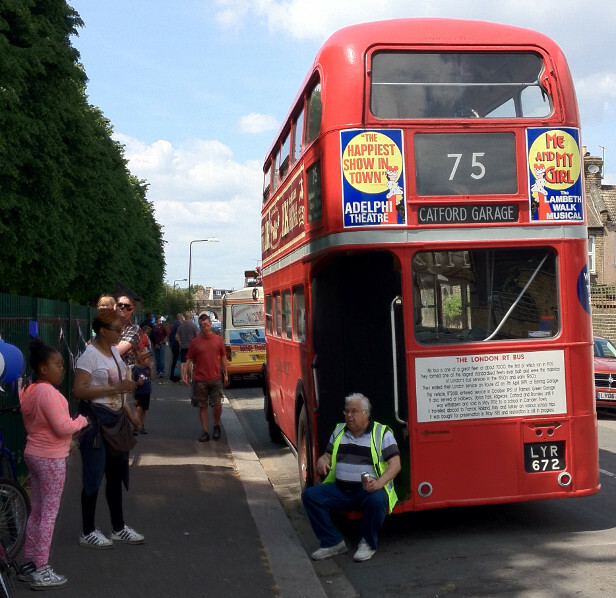 At this point, it was a ‘swing and slide’ break for the kids and we headed out home…but not before we went on the Routemaster; or RT as I was corrected by the bus driver. It was incredible to be able to take my very young children on a bus which I used to travel on as a child and re-living some of those memories. For those interested in all things transport and technology, you can visit the Walthamstow pumphouse museum, literally right opposite the park. Overall, this was a lovely afternoon, a lovely community feel and I think regardless of whether there is an Art Trail or not, this should be an annual event. Further suggestions would include a bouncy castle and maybe some further activities for kids….however this is just nit-picking on what was a superb afternoon. For some, this is just another park, but for those who have lived here all our lives, it was very special seeing our little park turned into something completely different for the first time ever. Pats on the back to all involved and we look forward to further events for many years to come. For anybody wanting to get some greenery, the park is located about 5-7 minutes walk from the St James Street end of Walthamtstow high Street. From the back of the park (Low Hall) you can see the London skyline, Walthamstow marshes, the river lea and also the resevoir so absolutely ideal for those who love photography.